A Shakespearean actor, Heald moved to New York City where it was rough for a bit, until he won the top prize on the $20,000 Pyramid in 1979. Heald made his film debut in Silkwood and is known for his portrayal of psychiatrist Dr. Frederick Chilton in The Silence of the Lambs. 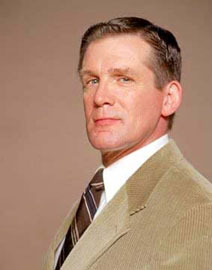 On the small screen he played the lonely Assistant Principal Scott Guber on Boston Public.